I’ve always wanted a Pixel. 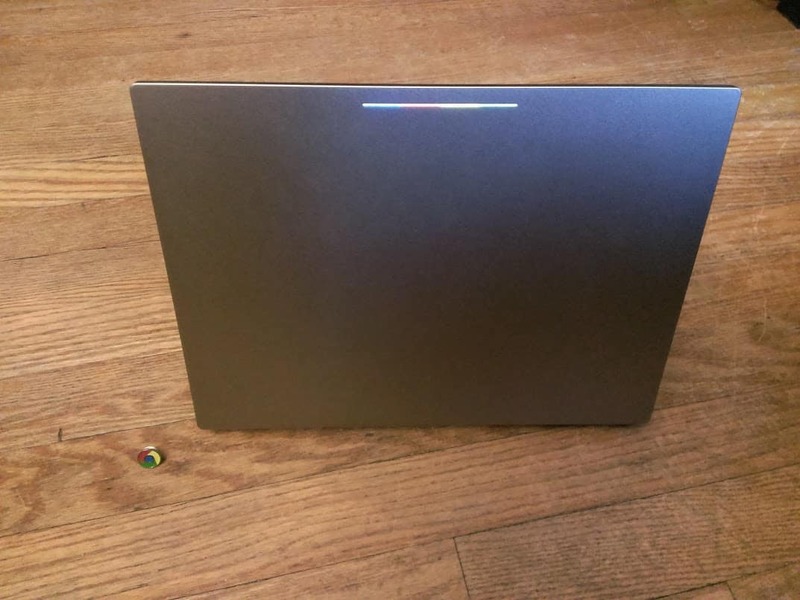 Ever since the first iteration was launched in 2013 I’ve been drooling over the high-end concept device from Google, meant to showcase Chrome OS and its possibilities. But the price tag was always a barrier. A very large barrier. At the time, I (and many others) believed that $1300 USD was just a bit too much considering the limitations of Chrome OS. I’ve since changed my mind, and will go into why I changed my mind towards the end of this review. For now though, I’m going to take a few minutes to talk about my experience these last 6 days. 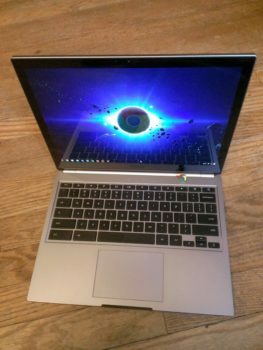 The Pixel (2015) comes in two varieties: One model comes with a core i5 Broadwell processor, and 8GB of RAM, the other an i7 with 16GB of RAM (Google calls this model “Ludicrous Speed”). I am using the i5 model. I’m going to open with this device’s most striking feature: design. This device is nothing if not aesthetically beautiful. The first thing you may notice when opening the device is the shiny metallic color, and the light bar. The shiny metallic color is due to the fact that the device is actually made of metal. 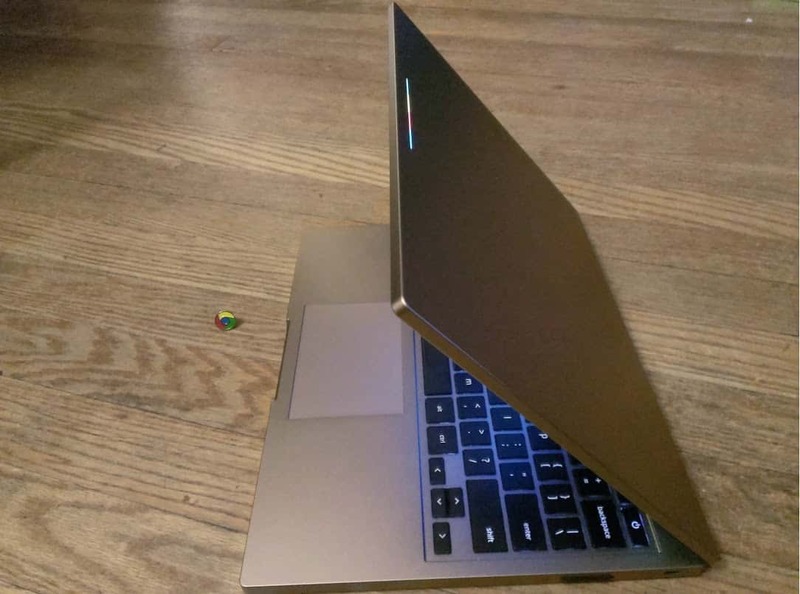 It’s not made of cheap plastic like you might find on…every single Chromebook besides the Pixel. It’s not heavy, so-to-speak, but it’s no featherweight either. 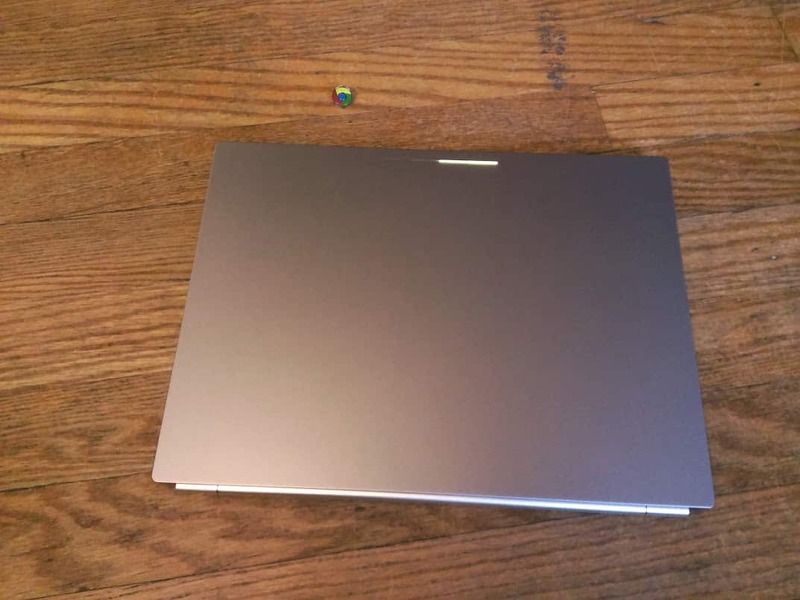 On the podcast Chromebooks Today, I described it as having an “appropriate amount of weight”. Craig Tumblison on the other hand, is convinced that he would lose a toe, were he to drop his Pixel on his foot. The light-bar is fascinating. During normal operation, the light-bar glows a steady blue, red, yellow and green. While the lid is closed, the light-bar is off. If you double-tap next to the light-bar, it will light up green, telling you roughly what your remaining battery percentage is. For example, if you were at exactly 75% battery life, when you double-tap next to the light-bar, 3 out of the 4 bars will light up bright green. If you had, say, 85% battery life, 3 bars would light up bright green, and the fourth would light up rather dim. 70% would have 2 bars bright green with a third dim. Something else you will probably notice fairly quickly is the unique aspect ratio of the display. It’s a 3:2 ratio, rather than a 16:9. This makes the screen almost square. Because of this, the 12″ sleeve that my Acer C720p Chromebook previously lived in is barely big enough for this device. Luckily, it does fit, it’s just a pretty tight squeeze. One thing I love about the design of this device, is the dimensions. The top half, or “lid” (you know, the part that houses the display panel) is the same height all the way around. This is also true for the bottom half (the top half is thinner than the bottom half). I prefer this look over the typical ultra-book or Mac look, where it’s thicker towards the screen and gets thinner as it gets closer to you. The Pixel looks kind of “boxy”, and I like it. Boxy makes it sound thick, so I should mention that it’s only 16.2 mm high. The keyboard is of course laid out like any other Chrome keyboard. What I love most about this keyboard, is that it is a backlit keyboard, which is great for folks like me who like to write with the lights off while watching Netflix. If you’ve ever hit Ctrl V when you meant to hit Ctrl C, you know what I’m talking about. Backlit keyboard is a huge feature. Typing on the Pixel is pretty good. I’m not sure it’s much different from typing on my Acer. I maybe have a few less typos with the Pixel, but it’s hardly significant. It’s way better than typing on the keyboard that shipped with my Asus Chromebox. That thing was garbage. I’m pretty sure most of my typos on this device are my fault. I’m not missing keys or getting double hits. Something I noticed while searching for possible skins/cases/covers for my new Pixel, is that the keyboard “area” is a bit different from the previous Pixel. On the previous Pixel, all the function keys were wider, and were touching each other. On the newer version, there is a gap between each one. Otherwise, no other noticeable differences. The display is stunningly awesomely totes amaze-balls. As far as I know, it’s the highest resolution you can find on a laptop, at 2560×1700 it’s slightly better than Apples retina display on their high-end laptops. I’ve watched a few HD videos on YouTube and they are gorgeous. I was able to get up to 1440p on this YouTube video in fullscreen mode before my internet modem started weeping gently in the living room. The Pixel scales the operating system so that it looks normal, as opposed to the Toshiba Chromebook 2, which also has a pretty nice display but does zero scaling. If you have time, you can hit up your local Best Buy and you’ll see what I mean. The icons on the Toshiba are super tiny. Thankfully, this is not the case with the Pixel. This thing is a beast. 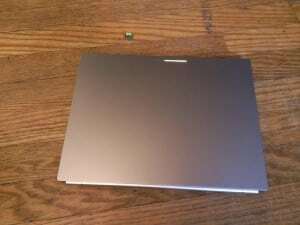 I’ve had several Chromebooks, most with Intel celeron processors and 2GB of RAM. Then I splurged on a Haswell generation i3 Chromebox (the aforementioned Asus) with 4GB of RAM. Now I’m rocking the Broadwell generation i5 and 8GB of RAM and I’m LOVIN it. This thing never lags. Never stutters, or hangs. I had one tab crash. Not sure why, although it was Google+ which brings down even the most beastly of machines. Sometimes 8GB of RAM just isn’t enough for Google+. But besides that no issues. I absolutely love this machine. My next project is to install Crouton (already done) and install Steam and start playing some games. With only 32GB of local storage (64GB on the i7 model) I’ll probably have to store the games on an external drive, but that’s no biggie. There has been some buzz on the interwebs regarding the new Pixel’s speakers. 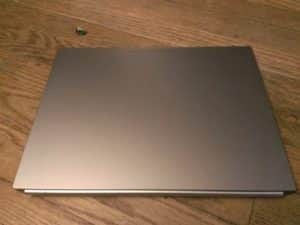 Craig Tumblison mentioned on Chromebooks Today that they were fine for the most part, but he did notice some distortion when the volume was turned all the way up. I notice this as well, if you put your ear close you can hear a tiny amount of distortion at certain points, although it was very hard for me to detect. Overall I’m pleased with the speakers on this device. Pretty much everybody is saying the OG Pixel was better, but I don’t have one so I can’t speak to that. My Pixel’s speakers are better than my Acer. I don’t know how much of that is due to the speakers being located behind the keyboard on the Pixel and how much is due to the speakers themselves. I also noticed that there’s pretty much zero bass on these speakers. When listening to music, I definitely choose to use headphones. So, the battery life on this thing is amazing, especially considering how powerful the processor is. The previous Pixel boasted about 4 hours of battery life. This one boasts 12 hours. That wasn’t a typo, I meant to say 12 hours. I don’t know if I’ve gotten 12 hours, but I do know I haven’t charged it for a couple days. You can also get 2 hours of use out of a 15 minute charge, which is pretty amazing. The Pixel comes with an HDMI port, headphone jack, SD card slot, 2 standard USB ports, and 2 USB type-C ports, one on either side. The USB type-C ports are pretty cool. Not only are they able to be plugged in “upside down” (meaning there is no right way up) they are also multi functional. These ports transfer data, media, and power. They’re also small enough that you could start seeing them on mobile phones soon. Wouldn’t it be nice to charge your laptop and your smartphone with the same charger? As promised, I’d like to take a minute to defend the rather high price tag. At $999 for the i5 model, and $1299 for the i7 model, price is certainly a barrier for many people considering this high-end concept device. The typical reasoning that I hear (and for awhile actually believed myself) is that it’s silly to spend so much money on such a limited device. The idea is, since you can’t put Microsoft Office, or iTunes, or Photoshop on the device, it’s not worth putting that much money into. 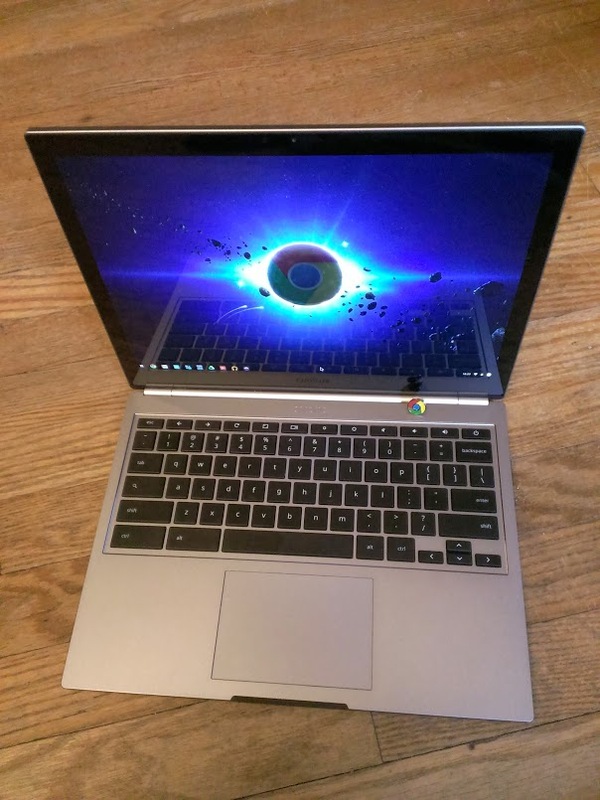 But here’s my counter argument: So you have yourself an inexpensive Chromebook for your “light” computing/browsing. You also have a Windows/Mac machine for “heavy lifting”. Ask yourself this question: which device do you spend most of your time on? You might be surprised to discover that the majority of your time is spent on your Chromebook. So, is it really that unreasonable to want the best possible experience on the device you use most often? For me it was an easy choice. I don’t use Windows anymore. I’m all Chrome OS. But I think even people who still use Windows/Mac for photo/video editing and other such tasks would benefit from spending some money on a high end Chromebook. And if $1000 is just too much regardless of your workflow, but you still want a better performing device I totally understand that. You might want to consider the Acer C910 which also sports a Broadwell i5 processor for half the price of the Pixel. This is a guest article by James Welbes. 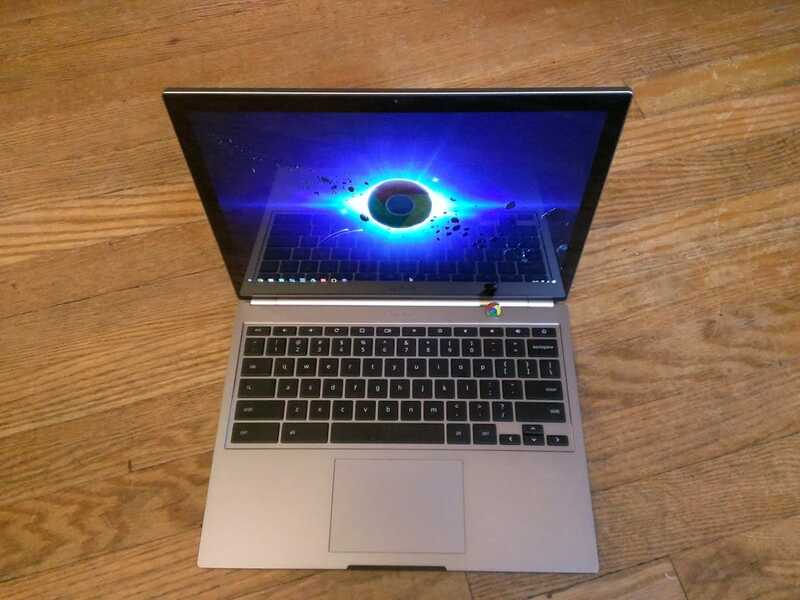 James Welbes is an avid user of Chrome OS and a huge advocate for the platform. As a former Google Specialist, and the owner of 7 Chrome devices over a span of about 3 years, James has had plenty of experience with Google’s cloud-base computing devices.